The island life continues. 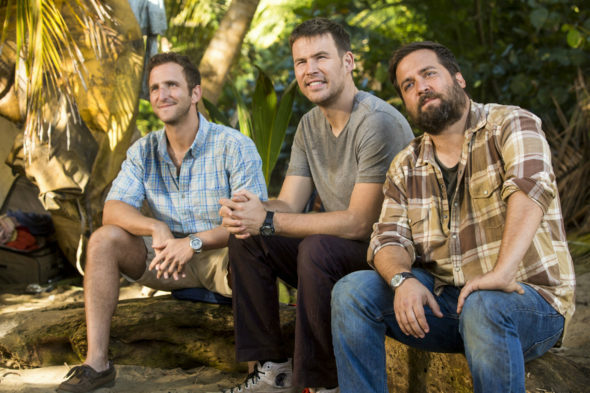 According to The Hollywood Reporter, TBS has renewed Wrecked for a second season. The comedy follows a group of strangers deserted on an island after a plane crash. The cast includes Ally Maki, Will Greenberg, Brian Sacca, Asif Ali, Brooke Dillman, Jessica Lowe, Ginger Gonzaga, Rhys Darby, and Zach Cregger. Wrecked just premiered its first season in June and so far, it’s receiving low-but-steady ratings, with an average of .50 in the 18-49 demo and 1.361 million viewers. The series wasn’t the only comedy to be renewed by TBS. Today, the network also ordered a third season of Angie Tribeca. What do you think? Are you watching Wrecked? Are you glad it’s been renewed? More about: TBS TV shows: canceled or renewed?, Wrecked, Wrecked: canceled or renewed? Love Wrecked! Happy it’s coming back. The wife and I loved the 1st season! so glad that the execs did not cancel like they usually do to good shows that are a little off the main stream. Is James Scott still in the series? The best show on TBS by far. So very funny and a great cast!